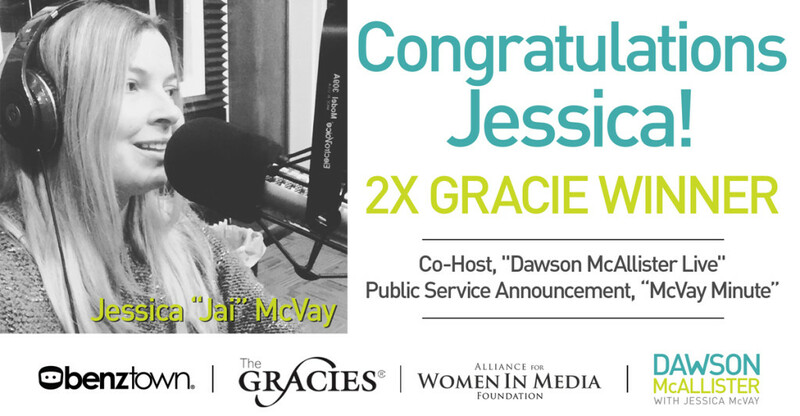 May 26, 2016, BURBANK, CA”Benztown, an international radio imaging, production library, programming, jingles and voice-over services company, announces that the Alliance for Women in Media Foundation (AWMF) honored nationally syndicated radio personality, Jessica JaiMcVay with two 2016 Gracie Awards for outstanding achievement in programming. 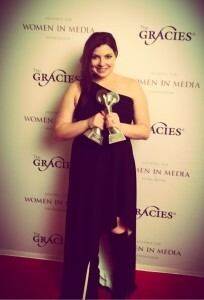 The Gracie Awards celebrate women by recognizing their outstanding achievements across all sectors in media. 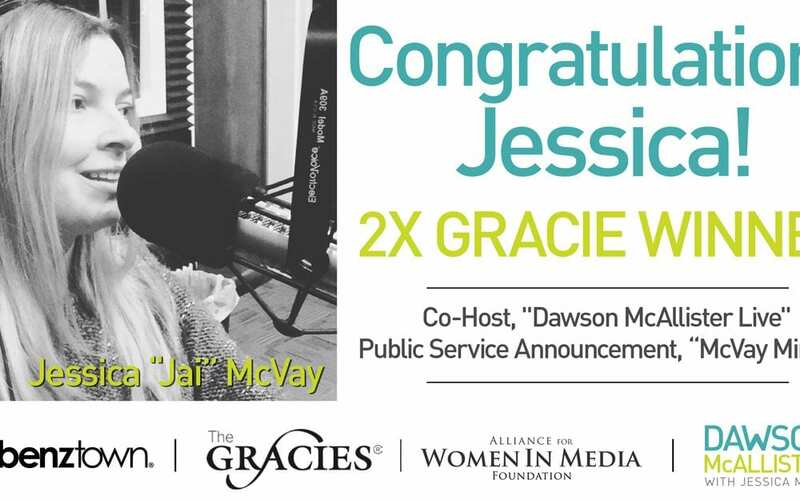 McVay earned two national Gracies this year for her work as Co-Host of the weekly talk radio shows, Dawson McAllister Live With Jessica McVay and Dawson McAllister Late Nights, heard on over 50 radio stations across the U.S. and Canada, including a Gracie for Public Service Announcement, McVay Minutefor Dawson McAllister Association. McVay’s recognition comes in a record-breaking year, in terms of total number of submissions for Gracie Awards consideration. The 41st annual Gracie Awards, which support AWMF’s educational programs, charitable activities, public service and scholarship campaigns that benefit women in media, were presented at a gala awards show at the Beverly Wilshire Hotel in Beverly Hills, CA. Jai McVay accepted her award along with fellow national honorees including: Tina Fey, Angela Bassett, Cynthia Nixon, Jada Pinkett Smith, Vera Farmiga and Kathie Lee Gifford. McVay joined the Dawson McAllister Association in May of 2012 as Dawson’s “Online Connection”, moving to full Co-Host of Dawson McAllister Live and Dawson McAllister Late Nights in early 2015. As Co-Host, McVay gives loving advice and encouragement on-air to hurting teens and young adults on 50 radio stations across the U.S. and Canada six nights a week.